James Phelan teaches and writes about the English and American novel, especially from modernism to the present, nonfiction narrative and narrative theory. He is the first person in the history of the English Department to be awarded both the Alumni Distinguished Teaching Award (2007) and the Distinguished Scholar Award (2004). He is the author of five books that develop the contours of a rhetorical theory of narrative. The most recent are Living to Tell about It (2005) and Experiencing Fiction: Judgments, Progressions, and the Rhetorical Theory of Narrative (2007). He edits Narrative, the journal of the International Society for the Study of Narrative, and, with Peter J. Rabinowitz and Robyn Warhol, co-edits the Ohio State University Press book series The Theory and Interpretation of Narrative. 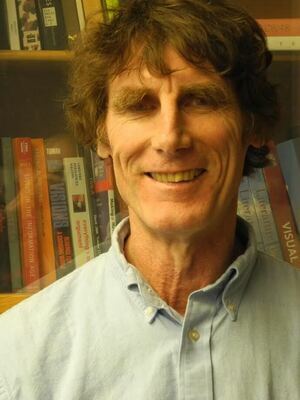 Phelan has also edited or co-edited numerous volumes, the most recent of which are Teaching Narrative Theory (with David Herman and Brian McHale), After Testimony: The Ethics and Aesthetics of Holocaust Narrative (with Jakob Lothe and Susan R. Suleiman) and Fact, Fiction, and Form: Selected Essays of Ralph W. Rader (with David H. Richter).